Swiftair is a leading company in the airline sector, offering both freight and passenger transport. Swiftair provides support to the day/overnight networks of passenger airlines and Integrators and offers flexible solutions (aircraft sizes, operating areas, etc.) to the major players in this area such as local & global Integrators, government agencies and (inter)national airlines. With a European/African network of more than 600 employees and more than 30 major customers worldwide, the company has a business level of aprox € 140 Million a year. Swiftair operates globally with local management & dimensions thanks to it’s presence in several countries in Europe & Africa. In this sense, Swiftair operates flights in Span, rest of Europe, North & West Africa, has a 2nd airline in Greece and handling units in Morocco & Algiers. 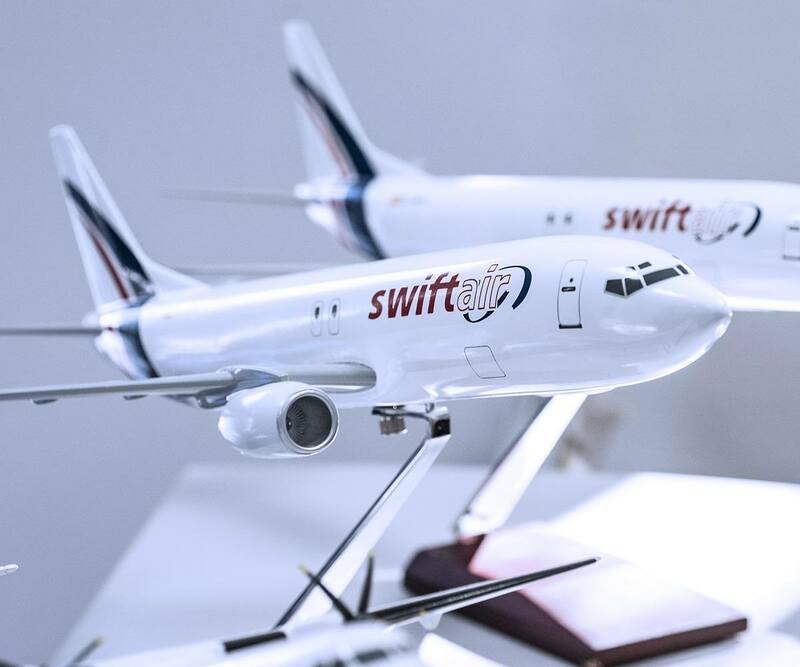 Swiftair currently has a fleet of 47 aircraft with varying sizes & payloads including B737’s, ATR’s, EMB120’s & Metro’s.